I recently got new neighbors. They moved in across the way. I know very little about them at the moment, other than they are Jewish. At least, that is my best guess based on the mezuzah that is on their door frame. I am told that the mezuzah holds a small paper scroll with the words of the Shema prayer written on it in Hebrew. Mezuzahs fulfill the command to keep the laws of God on the doorposts of our homes, and I’ve seen family members touch it each time they walk into their house. I doubt my first greeting with them will be to talk about Jesus. But I can begin to pray for them before I have a chance to know them personally. 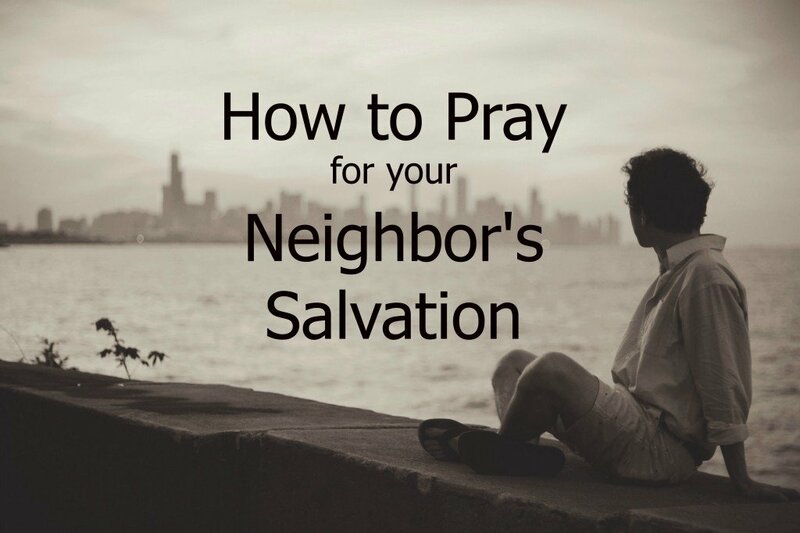 How can you pray for your neighbors? Due to the course of life events in both our families, we moved and they moved before we ever had a meal together. As I step into a new seasons of praying for new neighbors, here are some ideas that are fueling me. I’m reminded of the Apostle Paul’s driving passion to share the good news, as spelled out in 1 Corinthians 9:16-23. For when I preach the gospel, I cannot boast, since I am compelled to preach. Woe to me if I do not preach the gospel! If I preach voluntarily, I have a reward; if not voluntarily, I am simply discharging the trust committed to me. What then is my reward? Just this: that in preaching the gospel I may offer it free of charge, and so not make full use of my rights as a preacher of the gospel. Though I am free and belong to no one, I have made myself a slave to everyone, to win as many as possible. To the Jews I became like a Jew, to win the Jews. To those under the law I became like one under the law (though I myself am not under the law),so as to win those under the law. To those not having the law I became like one not having the law (though I am not free from God’s law but am under Christ’s law), so as to win those not having the law. To the weak I became weak, to win the weak. I have become all things to all people so that by all possible means I might save some. I do all this for the sake of the gospel, that I may share in its blessings. Paul reminded the Corinthians about how they made their journey to faith over time through various conversational encounters. Each of those conversational encounters were divine appointments, those prompting a moment that will impact someone’s life in their journey to faith. I want to give you examples of how this can play out in real life. 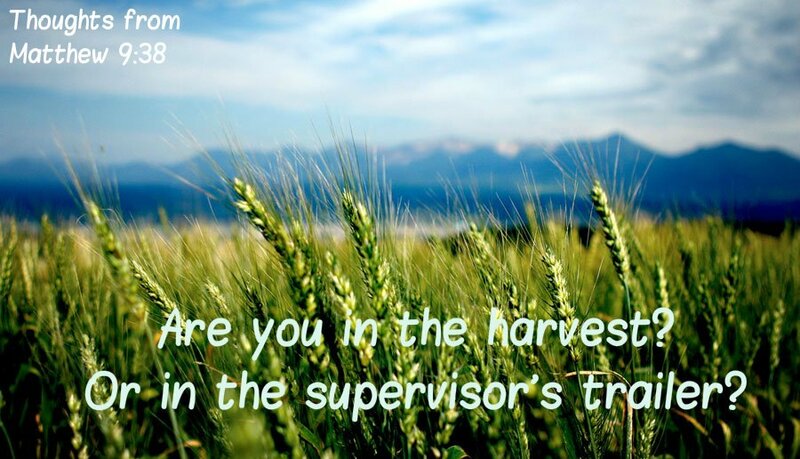 Pray for more divine appointments with your neighbor. 3. Pray that God will keep those neighbors before you. Your neighbors are not just a nameless class of irrelgious people. They are not simply “the unsaved.” Rather, they are individuals with names, stories, hopes, dreams. They are people that you can grow to love and serve. Lord use me to share the love of Christ with them. Lord, use me to invite them to church. Pray that God would give you the opportunity to invite someone to church this coming weekend. 4. Pray that you’ll receive the Father’s heart of love. It’ll be easy to get annoyed with your neighbors when they won’t cut their tree limbs back, or when their dog continues to do its business on your yard. It’ll become easy to ignore your neighbor if you never interact with them. It’ll become easy to forget about their spiritual condition once you have spent a good amount of time with them. Instead of letting business as usual develop, ask the Lord to give you His heart of love for those who don’t know him. Ask regularly, ask plainly, and ask with great passion. Ask the Lord for that same compassion Jesus felt that day outside of Jerusalem. 5. Pray that you’ll discern their spiritual thirst. As you pray regularly for your neighbor, you’ll begin to see what the Spirit of God is doing in their life. You’ll begin to see their spiritual thirst. Recently, I went on a charter fishing expedition. The captain looked for clues as we drove to the fishing spots – birds feeding on bait fish. The birds showed the captain where the small bait fish were swimming near the surface and that was the clue to the likely presence of the bigger fish we would catch. Spiritual thirst is that clue that will begin to give you a hint of the spiritual hunger that is just below the surface. Pray that you’ll begin to see it. I pray for my neighbors. Will you pray for yours? Here is the coaching corner. Are you praying regularly for your neighbors? Maybe it is time to make a prayer list of every neighbor in your apartment building, condo complex, or cul-de-sac. Write down their names and set apart time in your devotional times to pray for them. the article on How to Pray for your Neighbor is SO helpful. Could I use this in our church bulletin?? Yes. Go right ahead. Please give the link as well.